From the small blind, Antonio Esfandiari raised it up to 900,000 and Mike Sexton called from the big blind. The flop came down and both players checked. The turn was the and Esfandiari bet 1,150,000. Sexton decided to move all in and Esfandiari called. At first, Esfandiari had turned his hand face up for all to see, but then the dealer thought Esfandiari had folded and put the cards face down on top of the rest of the deck. 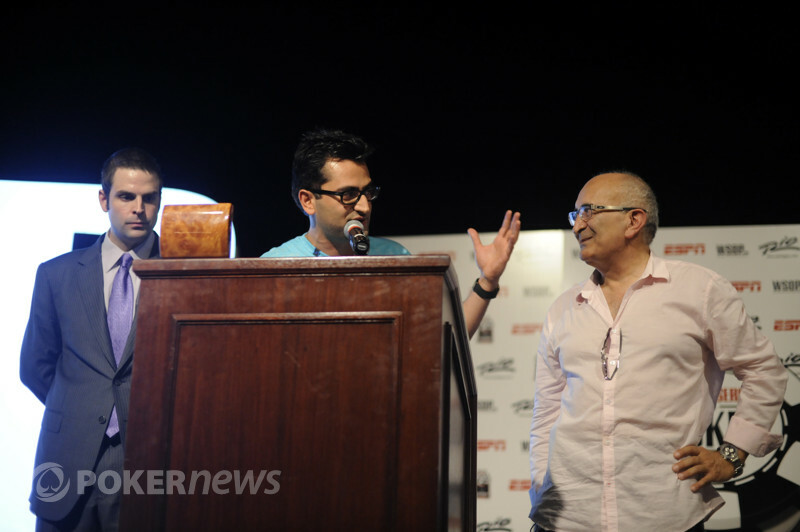 Esfandiari jumped up right away to stop the dealer and the floor was called. The floor corrected the dealer, putting Esfandiari's back onto the table. Esfandiari had two pair and Sexton showed . 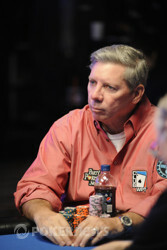 The river was the and Sexton was eliminated in ninth place. We are down to a final table and the official chip counts will follow shortly.